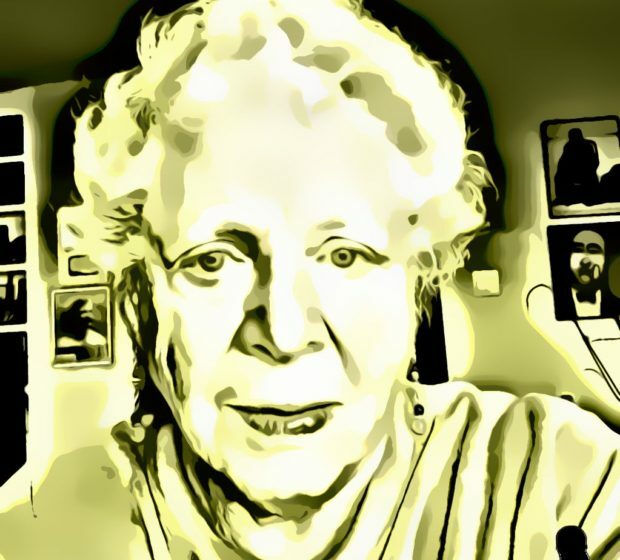 Anne Bernays has been a mainstay of Pangyrus since our launch–and a mainstay of fiction and non-fiction writing for decades. Co-author of What If?, one of the most enduring texts in creative writing, she’s helped countless writers succeed. In her new column she answers your questions about writing. Plus: Join as a Patreon subscriber, and you can ask your questions live during our next online video chat. I’m not a newcomer to written language as I’ve been a working journalist for almost twenty years. I’ve always wanted to write fiction so I joined a group called “Getting Started” at our local public library. The teacher is very nice. But when I asked her how to make things up she said “use your imagination.” That wasn’t any help. My training in sticking to the facts is a powerful obstacle to finding and using my imagination. Annie, can you help me to overcome this obstacle? Many years of teaching men and women, young and old, who were suffering from the same frustration have convinced me that the imagination works like a muscle and the more you exercise it, the more supple it becomes. Well-intentioned though she may be, your teacher is giving you a bum steer. It’s as if she had asked you to sing The Queen of the Night’s aria without ever having had a voice lesson. Like you, most good journalists have been programmed to stay with the facts to avoid getting fired. Making things up have sent several journalists to jail. Small wonder you’re stymied. The trick—and yes, it is a sort of trick because it employs the magic of artifice—is done through exercises, starting modestly and working up to entire stories. He’s planning to blow up the building. He’s bringing a gourmet lunch to his new sweetie whom he wants to surprise AND impress. She works in the P.R. office of a company on the 12th. floor. He’s coming for a job interview with an architecture firm on the fifth floor. He doesn’t know that the person who will interview him once courted his mother, who dumped him. He’s a drug salesman coming to see a dentist on the eighth floor, hoping to persuade him to try a new numbing technique that doesn’t involve syringe and needle. This is a dishonest pitch but he’s so far persuaded a dozen dentists to buy his wares. The more you invent (make up) the longer and more complicated your stories will become. You’re off to the races. Notice that these little stories avoid the abstract, relying heavily on concrete details. Here’s another exercise to stretch the imagination: A man and woman are on the sidewalk in the city, arguing. Their voices are raised. A taxi draws up and the woman gets in. The taxi drives off, leaving the man alone on the sidewalk. Who are they? What are they arguing about? What just happened. Where is she going? I’m not giving examples here: this is up to you. I know you can do it. Hint: stick to the present and only the most recent past. Don’t be tempted to go into a drawn-out backstory. The drill I’m suggesting is relatively simple. It doesn’t require any theoretical stuff like “theme”; “subtext” or “intentionality.” It’s all about putting characters into a situation that will grow and blossom into a story. Don’t fret; no one is going to judge you. Take risks . Stick your toes into the unlikely. Don’t hesitate to use humor. Humor is very serious. Try to hook the reader immediately. DO NOT DRINK ALCOHOL OR USE DRUGS . These items distort your judgment. Instead, try to reproduce that relaxed state of mind you get after one beer. I hope you find this helpful I know you can do it. Anne Bernays is author of 13 books, including Professor Romeo and Growing Up Rich, and co-author of What If?, one of the most widely used guides to creative writing. A teacher of fiction writing at the Nieman Foundation for Journalism at Harvard, she has published essays in The New York Times and other major publications.